December 22, 2013 – A round-table conference on “Compatriots and the Russian Orthodox Church: An Experience of Cooperation in Africa and South-West Asia” completed its work in Johannesburg, South Africa. 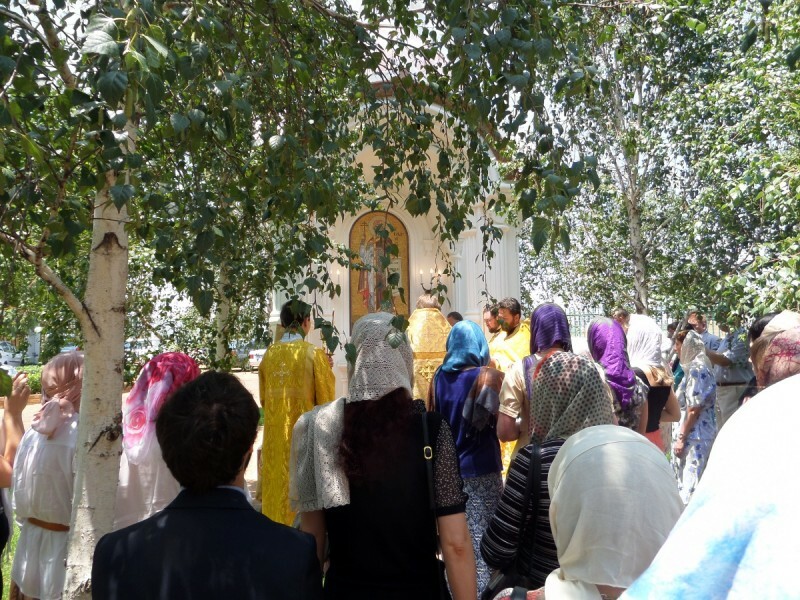 In the morning, the Divine Liturgy was celebrated in the church in Johannesburg led by Archimandrite Philaret (Bulekov), a vice-chairman of the Moscow Patriarchate’s department for external church relations. He was assisted by the Rev. Daniel Lugovoy, rector of the St. Sergius’s in Johannesburg, and other clergy who participated in the conference, including Archpriest Dimitry Netsvetaev, rector of the Church of the Holy Resurrection in Tunis, Archpriest Sergiy Zvonarev, DECR secretary for the far-abroad countries, the Rev. Maxim Massalitin, rector of the church of the Resurrection in Rabat, Maroc, Hieromonk Stephan (Igumnov) of the DECR secretariat for inter-Orthodox relations, Archdeacon Gennady (Orlov) of St. Daniel’s Monastery, and Hierodeacon Roman (Kiselev), DECR secretariat for the far-abroad countries. The service was attended by Russian diplomats in South Africa, participants in the round table as well as compatriots residing in Johannesburg and other cities in South Africa. After the liturgy, Archimandrite Philaret, who had been rector of the church of St. Sergius of Radonezh from 2000-2004, had a talk with parishioners about the conference devoted to cooperation between the Church and compatriots in Africa and South-West Asia and expressed gratitude to all those who worked to organize parish life for Russian-speaking believers in South Africa. After that a requiem service was celebrated for all the dead builders, decorators and parishioners who had participated in the construction of the first Russian Church in South Africa.